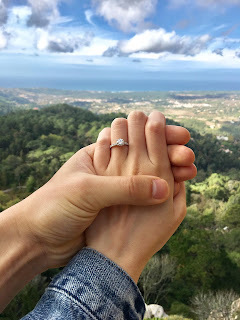 It's Chelsea: I'm Engaged! ...Now what? It's been a very long time! A lot has happened since I last posted here, although I am still as obsessed with skincare and beauty as ever. As many of you are aware, one of the first few thoughts after getting engaged and celebrating this is to get on with the wedding planning. I am one of those people who will go through as many Pinterest photos and Instagram photos to get more inspiration and ideas on how to decorate it. As my Fiance and I are both British Born Chinese, we wanted to merge both traditions for our Big Day. Other BBC's may be able to appreciate that elder relatives would want to do the 'Chinese Tea Ceremony'! This is basically where the couple pour Chinese tea for the elder relatives and in return, we receive kind words and a Red Envelope. You can imagine that trying to fit so many things into one day can be tricky so I wanted to document this on my Blog with the aim to help others in the same situation or just for those who are interested in seeing how others plan their Wedding Day. I'm hoping to document most of the main decisions on here so hopefully you can all take something from it. Everyone has their own wedding style, however, I'm going down the fairy tale route.. so lots of pastel flowers, bows, light airy spaces, and don't forget the fairy lights! If you're interested, you can head to my Pinterest Boards where you'll be able to get a better idea of the style I'm aiming for. Let me know if you've recently gotten engaged or already married, I would love to share ideas!